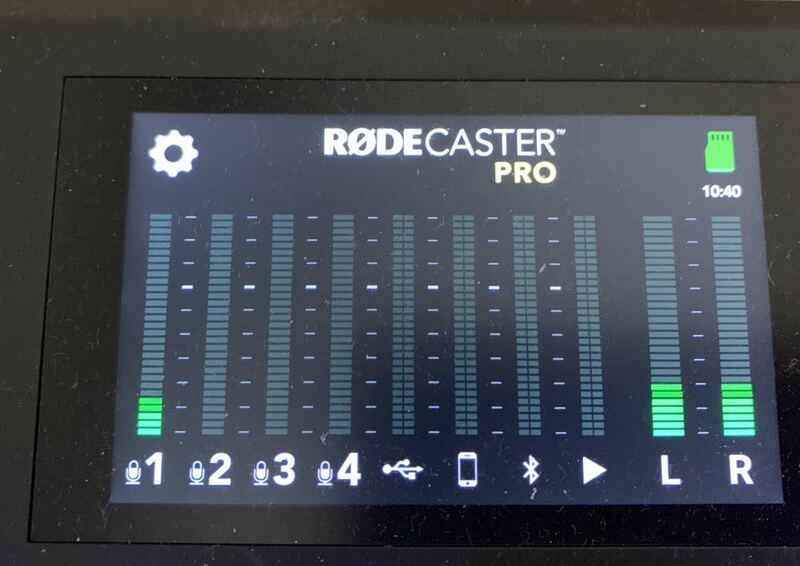 The Rodecaster Pro is a breakthrough product that allows users to create podcasts and programs that sound professionally-produced while being really easy to use so you can focus on what you’re going to say and producing a great show rather than getting bogged down in all the technical requirements. 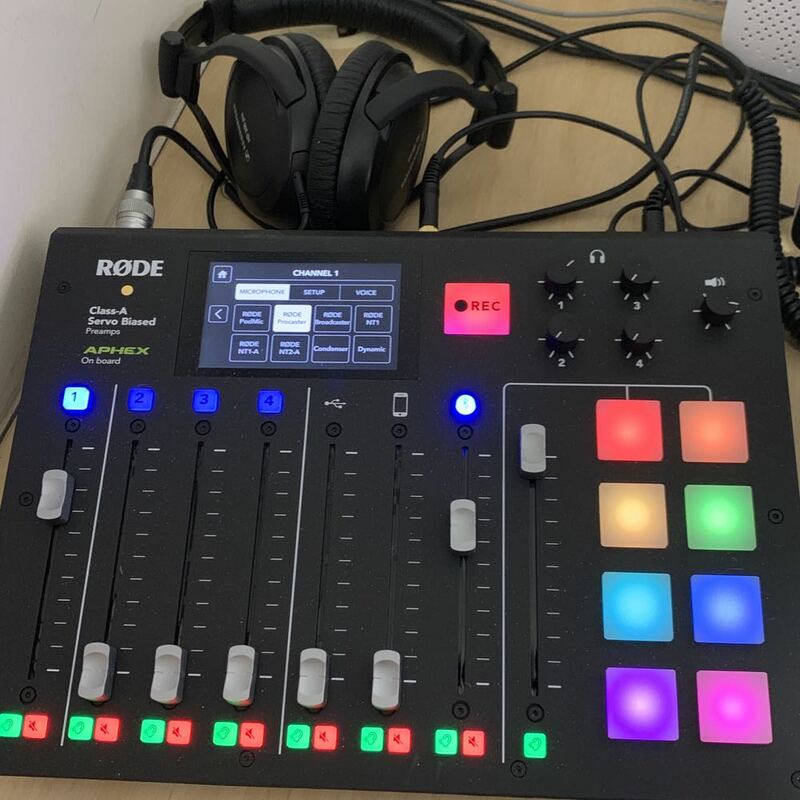 If you have a podcast or are thinking of starting one, the Rodecaster Pro literally puts a professional recording and production solution at your fingertips. 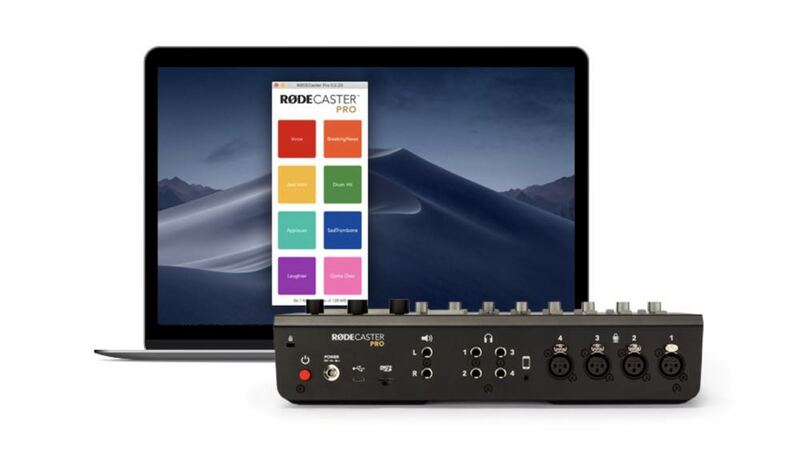 Rode’s Rodecaster Pro is the first device of its kind that integrates in one package the essentials for producing polished and great sounding podcasts. Trying to achieve this level of production requires a lot of know-how and a lot of equipment. 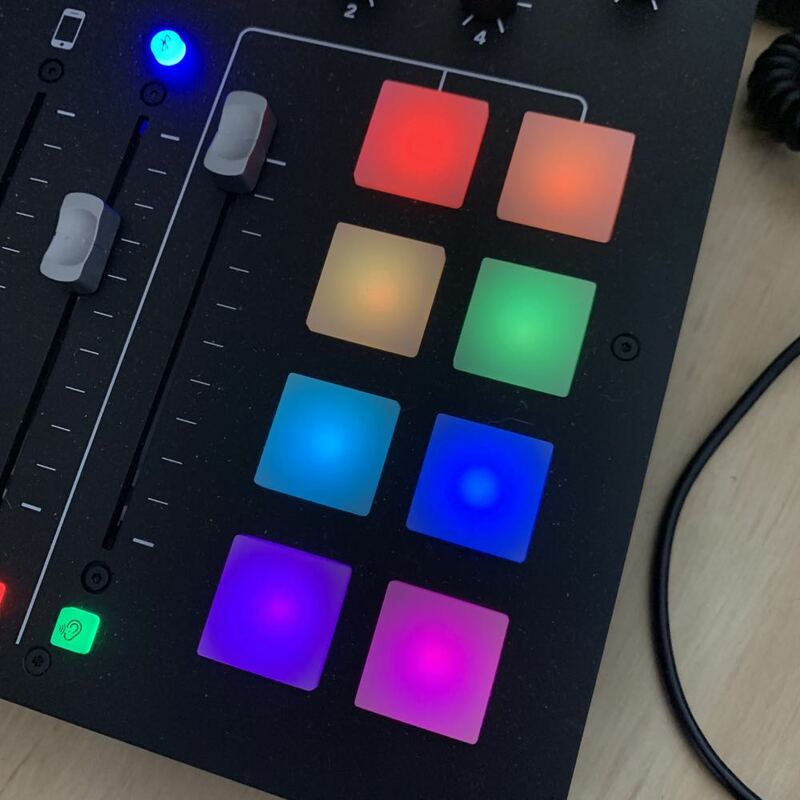 We know, we’ve been producing podcasts for more than seven years and can attest to the level of simplicity the Rodecaster Pro has brought to the table. But don’t for a minute think that this simple system compromises on quality or versatility. The only choice you had before was a regular mixer which wasn’t specifically designed for podcasts. And if you weren’t an audio expert it required a certain level of expertise to set it up properly. That’s no longer an issue with the Rodecaster Pro. 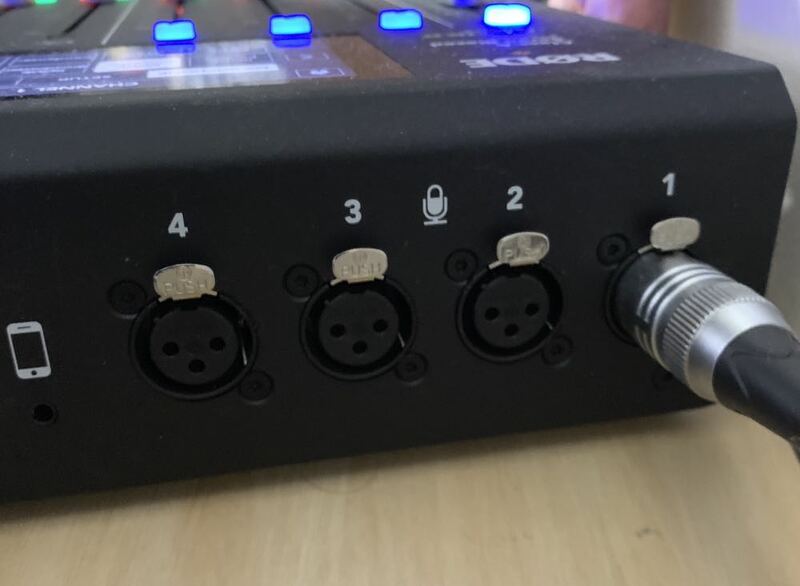 On board are four Class A mic pre-amps – that means you can connect up to four microphones at once via the XLR inputs. This is ideal if your podcast has several hosts or a live studio guest. 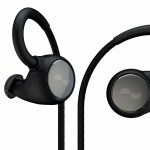 You might want to interview someone over the phone – there’s a way to do that too with a dedicated 3.5mm input. 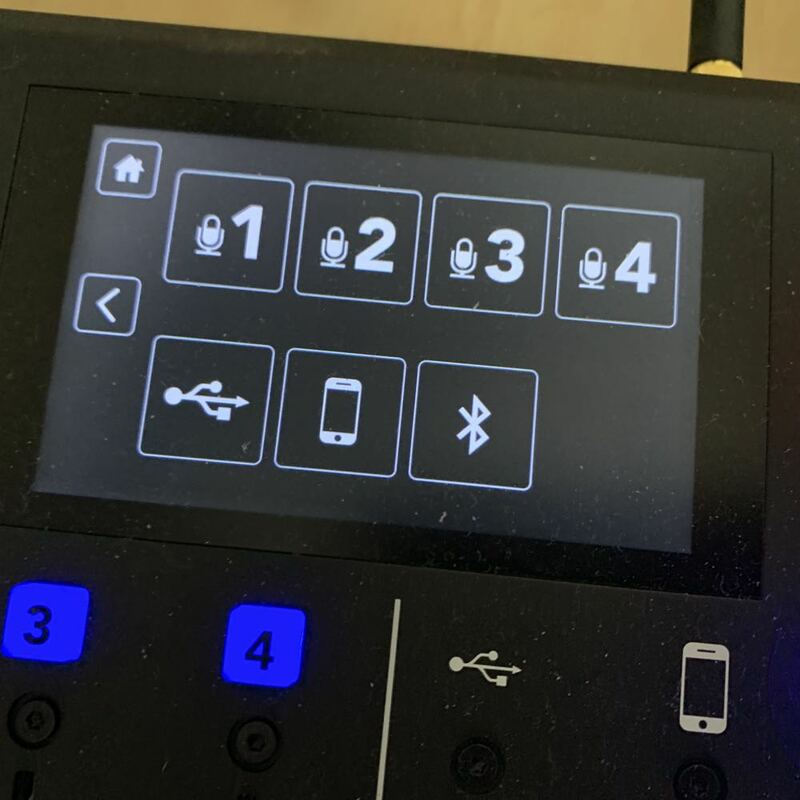 And if your phone doesn’t have a headphone jack, the Rodecaster Pro also has Bluetooth on board to connect your mobile device wirelessly and stream the audio into your recording. 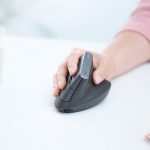 There is also a USB-C connection on board to link to other devices or connect to your PC or Mac. The touchscreen display on board lets you keep an eye on your levels which can be set automatically. 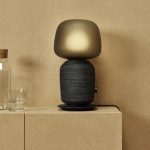 The display also acts as the control system where you access settings including seeing what type of microphone is connected and even determining the tone and strength of your voice to optimise the recording. 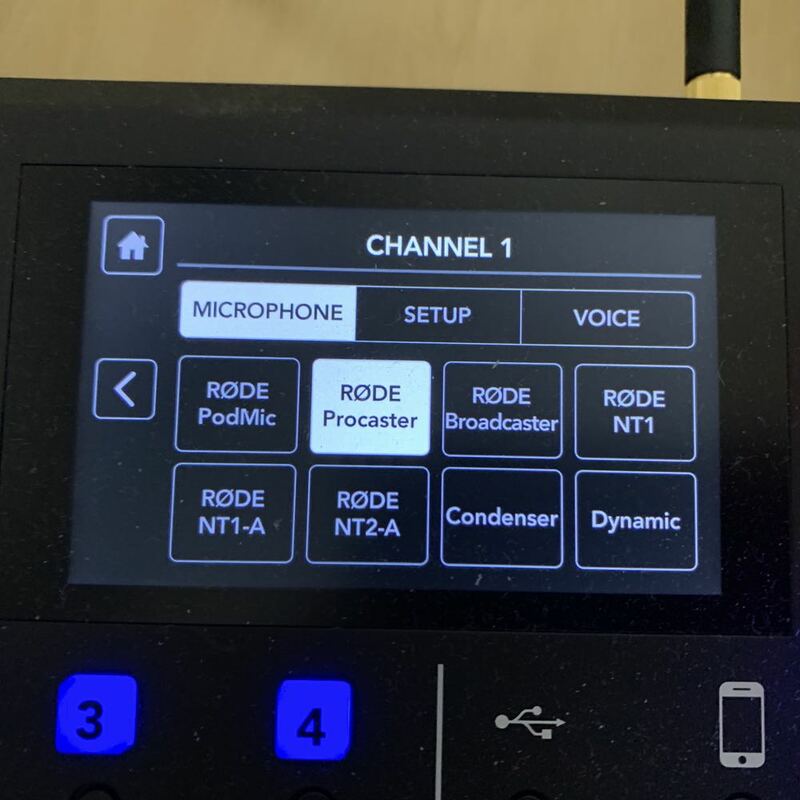 There is also a menu to manage the connections to the Rodecaster including the phone and USB connections and whether your recording music or speech. 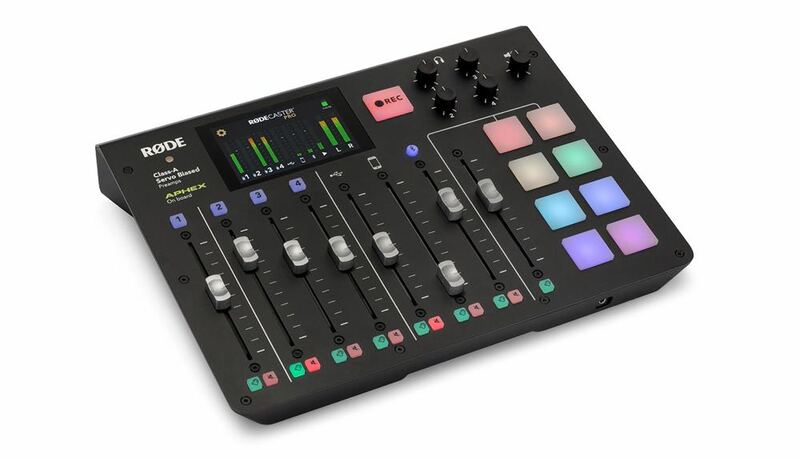 The Rodecaster is a lot more than just a fancy mixer – it can also record as well on to a microSD card which means it can be used anywhere and on the road without the need to be connected to a computer or a standalone recorder. 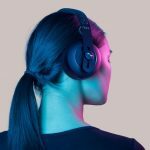 Also onboard are eight pads which can be set to play pre-recorded interviews, stings and anything else you need to include on your podcast. From a companion application on your computer, it is easy to drag and drop files to populate these pads. It’s also easy to change the colour of each pad to distinguish them from each other. Included with the Rodecaster Pro are two laminated double sided cards showing a diagram of the pads so you can take note of what’s on each one. Then you can simply rub off the writing and get ready for the next show. Of course, there are faders for each microphone and all the other inputs and a separate fader for the pads. And to make it even less complicated, Rode has also included red and green buttons so users can easily tell if the channel is open or muted. 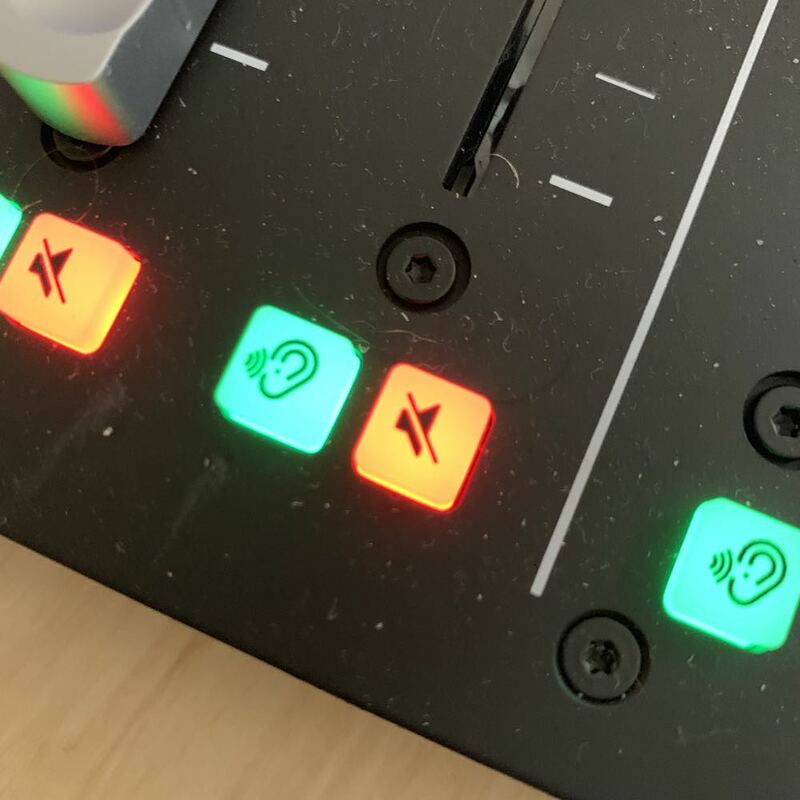 The simple diagram of an ear on the green button and a speaker with a slash through it on the red button makes it super easy to tell what these do. For an eager podcaster who doesn’t happen to be an audio engineer, these touches are a godsend. What also helps is that the Rodecaster Pro can also look after sound quality and limit the peaks by normalising on the fly – that is keep all the levels with a couple of decibels from each other so one mic or input doesn’t take over. 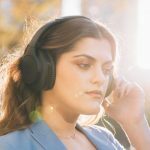 This is where the built-in Aphex Aural Exciter and Big Bottom features come into play which means it’s just one less thing the podcaster has to worry about. The result is a rich and warm tone usually only possible within a professional studio. 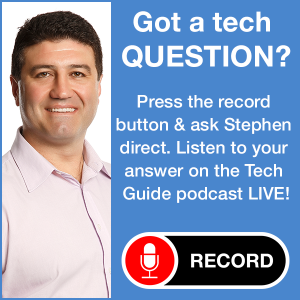 The last two Tech Guide podcasts (Episode 330 and 331) were recorded using the Rodecaster Pro and it has certainly streamlined the process for us. Before we had a Yamaha mixer which would connect to our iMac and to our microphone. We also had an iPad Pro connected to use as our soundboard for our stings and IDs. 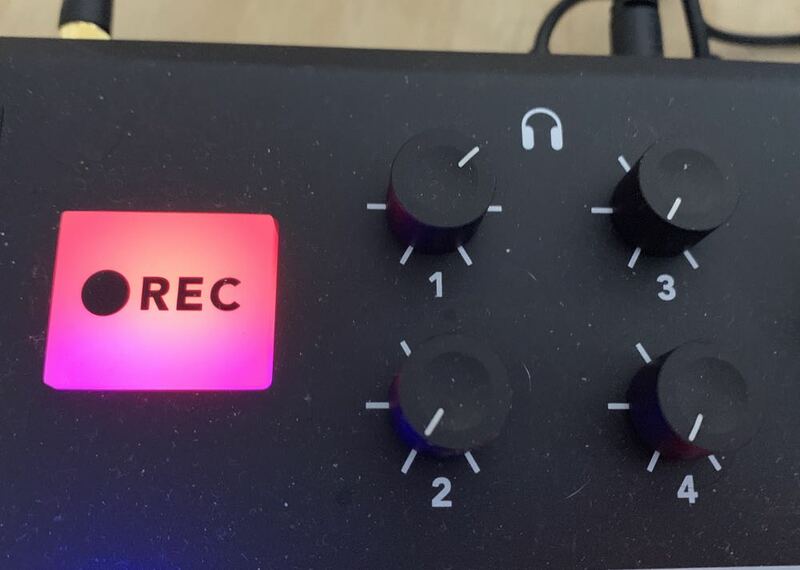 With the Rodecaster Pro we also recorded to the local microSD card as well as directly to our connected iMac into our recording software. It gives us peace of mind to know that there is a backup recording on the memory card should anything go wrong with the recording on our computer. And the big Record button is hard to miss when you want to start and end your show. We still connected our iPad Pro to the Rodecaster Pro using an adapter from the iPad’s USB-C port to link in to the 3.5mm jack on the back of the mixer. We still wanted to use our soundboard at on the iPad because we had more than eight stings and IDs which means they wouldn’t all fit on the Rodecaster’s pads. But an interesting thing would happen when we tried to play a sting off the iPad while connected with a cable to the Rodecaster Pro. The volume on the iPad would turn down by itself and eventually mute every time we hit a sting. We decided to try something different and connect the iPad wirelessly via Bluetooth. This worked a charm – until we started recording. Every time we hit the sting button in our soundboard app on the iPad – the file would play from a second or two into the sting. This meant we had to hit the stop button on the sting and then hit it a second time to get the full sting to play from the start. This resulted in us having to go back and edit every single sting. We’re still toying around with this and trying to work out why this is happening. As far as we know it’s a problem that is unique to us. But apart from that, the Rodecaster Pro is an absolute breeze to use. 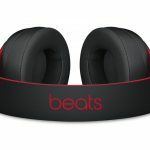 You’re getting quality audio output that is really easy to produce. We would have loved to have seen more than eight pads – our Tech Guide podcast has numerous stings as well as a main intro and other segment introductions. 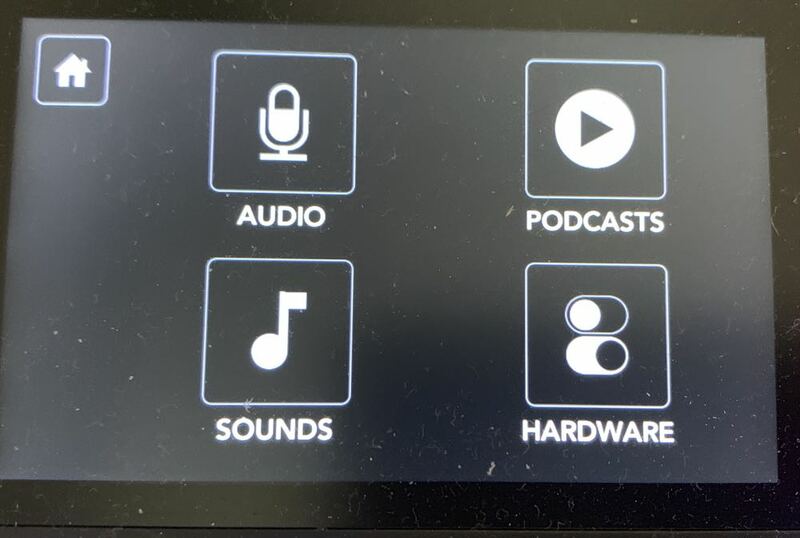 We do incorporate VoiceBytes – 15 second recordings where our listeners ask us questions – in the show and the pads on the Rodecaster Pro are an ideal place to have them at our fingertips and ready to play in the Help Desk section of the Tech Guide podcast. 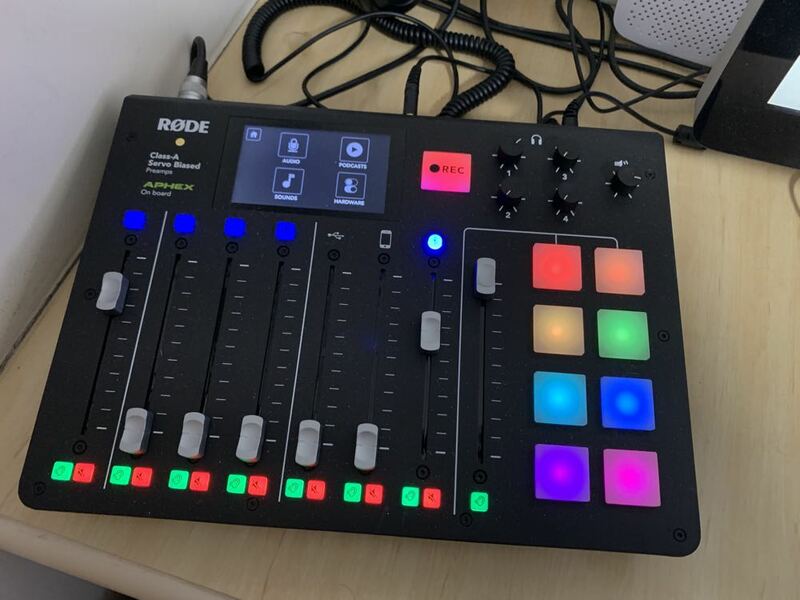 The Rodecaster Pro is an amazing product that’s come along at the right time when podcasting is more popular than ever. Often a barrier for many aspiring podcasters is knowing what audio equipment you need and how to put it all together. It certainly was for us when we first entered the podcasting world more than seven years ago. Well now that barrier has well and truly been taken away with this incredible all-in-one device. It’s amazing no one had thought to do this before. It took a great Australian company like Rode to come up with it and it’s become an instant hit.